Our next VMworld case study interview takes the pulse of CharterCARE Health Partners, and examines how virtualized desktops and thin clients are helping with digital records management and healthcare industry compliance and privacy requirements. We learn how Rhode Island-based CharterCARE has embraced private cloud and virtual desktop infrastructure (VDI) to support its distributed, 579-bed community-based health system. The organization operates the Roger Williams Medical Center, Our Lady of Fatima Hospital, and several other caregiver facilities. We'll hear how the tag team of private cloud and VDI has provided better data management, security, reliability, and regulatory auditing capabilities. The successful infrastructure modernization effort has also helped CharterCARE move to electronic health records and has helped improve their processes for clinicians. 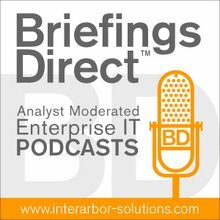 This story comes as part of a special BriefingsDirect podcast series from the recent VMworld 2011 Conference. The series explores the latest in cloud computing and virtualization infrastructure developments. Fuss: We have two main acute hospitals. We have a nursing home, a cancer center, outpatient care offices, and several different offices all around the community. So the data truly needs to not be resident in one spot. ... There are a lot of people who can embrace different types of clouds. You've got hybrid clouds, private clouds, public clouds, all with different offerings. For us it made sense to do a private cloud. For others, it may make sense to do hybrid type cloud. Gardner: Correct me if I am wrong, but it sounds as if private cloud to you means better security. Gardner: How do you view private cloud and VDI -- separate, distinct, together? What’s the relationship? ... We can already see the expansion, the use of that technology in different areas. We have some physicians with iPads working throughout the facility, visiting the patient’s bedsides, looking at their charts, all that kind of flex room is great. ... Also, everything that we're doing allows us not to focus on location, and that's the big thing. We break away from location. So where is the data center? Is it going to be affected by the next hurricane coming up the East Coast? Well, if we have a fear of where the hurricane is, we can move our data center 100 miles inland. Or if we think that inland is going to be more affected, we can keep it in Rhode Island, which is right on the ocean. ... So the benefits are there, and they’re just growing now, as it's integrated and being used more in the clinical areas. We’ve seen some growth recently. Even our pharmacy staff is starting to carry iPads around, when they’re doing inventories of some of the medication machines and being able to get that information right there, but on a device that’s secure. If they were to leave it behind, nobody could connect to anything, and that data all sitting safe inside the data center.